Child custody is one of the most contentious topics in divorce court, for obvious reasons. As a parent, your child means the world to you, and you would do everything you could to protect him or her. When it comes time to decide who will have primary custody in a divorce, it only makes sense that parents would fight tooth and nail to keep their children. Even when there was never a marriage, parents that are parting ways naturally want to get custody of their children. This can all lead to complex and drawn out legal battles to determine child custody. At Infinity Law Group, we understand how important child custody is to you. Having worked with numerous clients in situations similar to yours, we have the experience and skills necessary to help you seek a favorable outcome in your child custody case. It may take time and considerable effort, but we will do everything we can to get you the best outcome in your case. Like you, our firm is primarily focused on what is best for the children of a divorce or separation. We advise our clients to seek the solution that is most likely to get them the results they truly want. When it comes to child custody, the best solution is almost always to come to an agreement with the other parent before a court battle is necessary. It may take some difficult negotiations and some give and take, but it will avoid the need for the judge to decide for you. If at all possible, we will work with you, the other parent and the other attorney to come to a child custody agreement that you can both be satisfied with. Filling out child custody forms together can save a great deal of time and expense, not to mention the emotional turmoil – for you and your children – that comes from a child custody battle. However, if for any reason you are unable to come to an agreement with the other parent, our firm will do everything we can to see that the court rules in your favor. 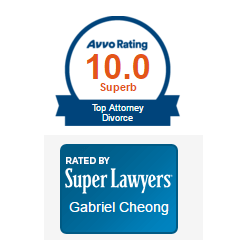 We do not shy from contentious child custody cases, no matter how challenging they may appear. You can depend on us to be there for you throughout the entire process. If it is possible, we will do everything we can to get you the child custody decision you desire. When divorce is finally taken and a custody dispute is imminent, you’re now wondering how the addiction factors into the divorce or custody dispute. Does it help you since you’re not the one with the addiction issues? How do you prove there’s an addiction? Does it actually make you look like a bad parent because you allowed an addict to live with you and be around your children? All of these are legitimate questions and the answers depends on your specific family circumstances. In many situations, if one parent is accused of being an addict, the court will order that they undergo drug and alcohol testing. These tests are usually done through the probation department of the Massachusetts Probate and Family Court system. They are random and people can be tested once every 10 or so days, but sometimes it is more frequent. Also common when there are issues of addiction and possibly unsafe conditions for children, the court will order that the addict have only supervised parenting time with the kids. The supervision can be at a paid supervision center or can be done through a privately paid supervisor or a mutually agreed upon supervisor that could be a friend or family member. Care needs to be taken when litigating through these cases because a divorce or custody battle can exacerbate the addiction and might cause further harm to either party or the children. Before starting a divorce or custody case in this situation, it is best to talk with an attorney that’s experienced in dealing with these types of issues to get an opinion on your specific case. When the Massachusetts courts become involved in issues of child custody, you can assume that their decisions will be based on what is best for the child. It is for this reason that legal custody is usually granted jointly and the parent without the majority of the physical custody is granted visitation rights or more commonly called parenting time. However, there are a lot of things that can influence what the court decides, which is why it is so important to have an experienced lawyer on your side. Ideally, you and the other parent can come together with your attorneys and decide on a child custody agreement that is fair and that the court will agree with. But if this is not what happens, you will need to do everything in your power to influence the decision of the court. The decision of the court will be legally binding, meaning you will have to abide by it for as long as your children are minors. You may be able to change it through further legal action, but this takes time and considerable money. Judges must decide custody cases using the standard of the “best interest of the child.” But how does a Judge decide what is in the child’s best interest if the parents are telling different stories and the Judge never sees either parent’s homes? There are two ways that Judges get the information they need to make that determination – either through testimony or through a Guardian ad Litem (GAL). For Judges to get the information through testimony, the parties must call as witnesses in a trial, everyone that will vouch for their side of the story. You might call to the stand to testify the parents, the grandparents, babysitters, other relatives, pediatricians, therapists, daycare providers, principal, dentists, etc. As you can tell, that might take a very long time and the Judge might find it hard to determine who to trust more than other. Usually what happens is that instead of taking direct testimony from all witnesses, the parties will elect for a GAL to do a full investigation, write up a report, and recommend findings to a Judge. A GAL is a person, usually a mental health professional or an attorney, that is jointly hired by the parties, to go out and investigate what is in the best interest of the child. The GAL will interview the parents and anyone else that they feel is necessary to make that determination. They will visit the children at each parent’s home and observe how the different homes effect the children. After they have done all the interviews and gathered all the observations and facts, they will write a report on what they think should happen in the case. The GAL in many ways acts as the eyes and ears of the Judge and Judges usually take the GAL recommendations contained the report. Our firm is experienced in negotiating favorable terms for child custody clients by helping them retain their relationship with their children. If you are in a situation where you are concerned about child custody, we can offer you legal guidance that will help you get the outcome you are looking for. We offer free consultations, so please contact us now to discuss your situation.